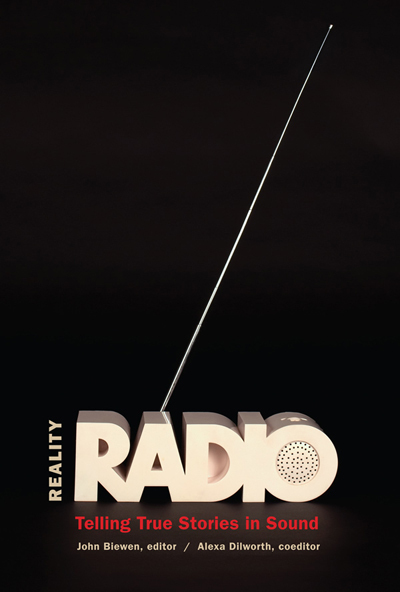 Reality Radio celebrates today’s best audio documentary work by bringing together some of the most influential and innovative practitioners from the United States, Canada, the United Kingdom, and Australia. In these twenty essays, documentary makers tell—and demonstrate, through stories and transcripts—how they make radio the way they do, and why. With essays by Jad Abumrad, Jay Allison, damali ayo, John Biewen, Emily Botein, Chris Brookes, Scott Carrier, Katie Davis, Sherre DeLys, Lena Eckert-Erdheim, Ira Glass, Alan Hall, Natalie Kestecher, The Kitchen Sisters, Maria Martin, Karen Michel, Rick Moody, Joe Richman, Dmae Roberts, Stephen Smith, and Sandy Tolan.